There is a new Swedish cafe in Taiwan now, called Viking Express. It is in Taoyuan and they bake all their bread, buns and cakes themselves. The owner is the son of one of my students, who learned Swedish with me in 2012. So happy to see how my students and their families still love Swedish and Swedish things. 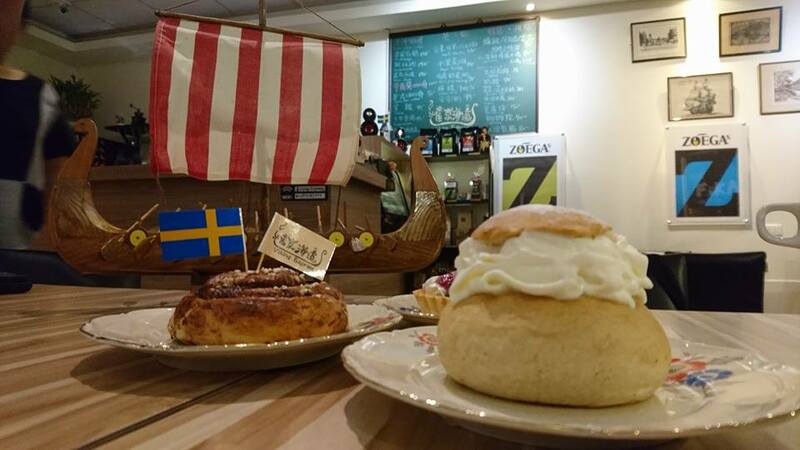 In this cafe, you can drink the wonderful Zoega coffee, directly imported from Skane in South of Sweden! I tried their semla and it was really good! Semla is a cardamon bun with almond mix and whipped cream. Sometimes, we put it an a bowl of hot milk and eat it with a spoon. Then it tastes almost like the Taiwanese traditional breakfast with youtiao and soybeanmilk, which I also love to eat often.